How do I Submit to the Reno Hip Hop Awards? 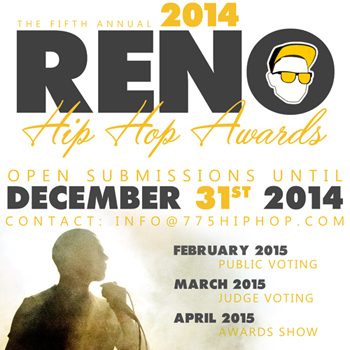 • The Reno Hip Hop is open submissions until December 31st each year. • The artist or group submitting must reside in the Reno/Tahoe area and have been living here for over 1 year. • Only one submission per artist/group per category. • No changing submissions once submitted. • All submissions need a direct link supplied to where the general public can see the submission online. • Submissions may take 72+ hours to post online. You will get a confirmation email once its posted. If you don’t hear back from us contact danhubbard4@gmail.com. • Public Voting takes place in February each year. • Judge Voting takes place in March each year.